What if I don’t have a big budget, can MD Media still help me? Yes! We are not a one size fits all company, we create custom solutions for our clients. Most importantly we will create a solution that gets results for any budget because we’ve done it for all our clients from $300 per month to $100,000 per month. Why Doesn’t MD Media guarantee my marketing results? How can I trust my business to MD Media, when other companies have screwed me? That is a good question, and all we can say is MD Media has generated results for our clients and tracked them all form day one and we can show you all of it. Results are what you’re paying for, not pipe dreams and a good salesman. Results, to us mean new customers, new growth and new opportunities not just search engine placement. That is why MD Media takes a long term approach to ever client, because we want to grow together and cover every aspect of your business’s marketing to make sure it’s performing. Plus we never lie or over promise our clients and any one that does is fired. How long will it be before I start to see any results? Generally, it will be about 60-90 days before clients begin to see any SEO Results. As a rule MD Media always like to under promise and over deliver for our clients so it could happen sooner but it depends on a variety of factors. 60 – 90 days is a good time frame to see results, as we tell our clients “stick with us for 90 days, if you don’t see results, fire us!” Marketing should be an investment not a detriment! I need multiple marketing services can MD Media do this and will I get a discount? Yes, of course! MD Media can handle all of your marketing needs both offline and online. As in many business’s, a bulk discount is given to customers purchasing multiple services from MD Media. If MD Media is providing you with results, why would you want to go anywhere else? How will I know what’s going on with my marketing? MD Media is always just a phone call away to answer your questions. MD Media sends clients two SEO reports per month. Once at the beginning of every month to show the baseline and the second comes in the middle of the every month to show progress. Plus before we start every SEO project we run full website and SEO audits to show clients the baseline from which we are starting. Most companies require a contract, does MD Media? We don’t! (thank the lord, right!) We don’t believe that clients should be locked into something that could potentially not deliver results. Your clients should want to pay you every month because you’re doing a great job for them, and you don’t need a contract if clients love you. However, MD Media understands people and how they can be nervous or impatient so we do require a 3 month commitment to prove results. We want to be assured that you will stick with us for the time it takes to generate results. The reason it takes so long is because we can’t control how fast Google takes notice of the work MD Media is doing, plain and simple. Can I speak to MD Media Co. current clients? Yes! If it's results you're looking for, we've got plenty to share. 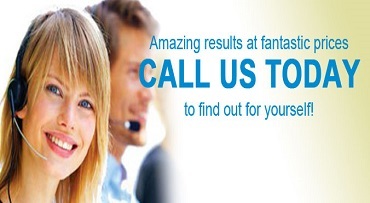 We can show you screen shots of current ranking and testimonials both written and video. However, as in any business we like to keep our clients personal contact information private. (they enjoy their privacy) but we do have a few clients that are rich enough, have enough free time and love us enough to talk to you about what we can do. How long has MD Media Co. been in business? The MD Media Co. team has a combined 30 years experience in the digital marketing, web development and branding worlds. You can rely on MD Media to get your project done right and most importantly have it generate a great ROI. Can I start with SEO and add other services later? Yes! At MD Media Co. we are all about building long term relationships with our clients. Usually as clients grow and generate results they want to add more services to bring in more revenue (who wouldn't tight) We are happy to take on more business for your business. Great question! Here is the answer! We have offices in both Dallas and Houston Texas but not to worry we can handle your SEO right from our Texas offices, even if your doing business in Timbuktu. MD Media Co. is rapidly expanding and will be opening offices in Miami, Denver, San Francisco and Seattle over the next 18 months. "I knew from the first time I spoke with the staff at MD Media Co. that they knew their stuff and trust me when I say that I have dealt with a lot of marketing companies in my 60 year career. This company never ceases to deliver results and they have my recommendation." "I have 15 major keywords in the #1 and #2 spot on Google since signing on with MD Media Co. SEO. I have never seen a more efficient and informative company ever. They told me what was going to happen at every step and exactly as they said it happened. I defiantly recommend MD Media to anyone that's looking for results." "Our experience with MD Media Co. has been phenomenal, they are always were informative and help us to understand the steps we need to take to be at the top. They have informed us of things we can be doing on our end to help so we are learning a lot on top of getting great results. We've been on with them for about 6 months and we can already a 45% growth in incoming leads and our sales have risen dramatically as well. Thanks guys"
Why should you trust MD Media Co.
We deliver or you don't pay! Simple as that!